Where Are Social Media Budgets Coming From? Recent survey results from Adap.tv and Digiday suggest that brands are shifting money from their TV and online display budgets to fund increases in online video spending. What about social media budgets? Data from a Wildfire by Google study [download page] conducted by Ad Age offers some insights into where large companies are pulling their social media dollars from. Interestingly, traditional media funding is being cannibalized just as much as digital media. The study surveyed more than 500 executives from large companies with some functional responsibility for social media, with about half of those respondents coming from companies with $1 billion or more in annual revenues. Overall, roughly 30% of respondents’ social media budgets are incremental, meaning that social has its own new and distinct budget. Next on the list, about one-quarter of social media budgets are being derived from digital media funds. Traditional media are not immune to the pull of social media: 8.7% of social budgets overall (12.6% of budgets from the largest companies) are being pulled from TV, with print (12% overall; 10.9% of the largest) and radio (3.2% overall; 3.5% of the largest) also raided for funds. The prognosis for soci! al media ! spending looks good, according to the report, echoing results from other studies (such as this one). About two-thirds of respondents are planning to increase their spending on social media in the upcoming budget cycle. While site retargeting remains the most common retargeting tactic, search retargeting isn’t far behind, leveraged by a strong majority of media buyers responding to a Q4 survey conducted [download page] by Chango and Digiday. The study indicates that while search targeting has previously been used primarily for revenue generation, agencies and brands are now using it for a wider variety of goals. In fact, a plurality 34.9% now count increased brand awareness as their primary search retargeting goal. The next-most common search retargeting goal is increased brand revenue (23.1%), followed by acquiring new customers (10.9%) and increasing on-site engagement (10.9%). Site retargeting goals are prioritized very differently by the media buyers polled across the US, Canada and the UK. Brand revenue and new customers are each considered the primary goal by 33.2% of respondents, although acquiring new customers is by far the primary goal among brand respondents (47.8%). While on-site engagement is a greater site retargeting goal than brand awareness (16% vs. 11.8%) on average, brand respondents are far less concerned with on-site engagement than agencies. Integration with other marketing initiatives counts as the main challenge of using both search and site retargeting, with lack of transparency the second-most cited challenge for both tactics. Asked where their retargeting budgets come from, respondents most commonly cited other display channels and tactics (34.1%), while about 1 in 5 said retargeting has its own budget (21.4%). Overall, about half of the respondents will increase their site, search and FBX retargeting budgets. Three-quarters of consumers from 7 key markets around the world report being more likely to recommend a brand because it provides simpler experiences and communications, per results from Siegel+Gale’s 4th annual Global Brand Simplicity Index [pdf]. The potential benefits of a simpler experience extend beyond recommendations: depending on the industry, up to 29% of American consumers would be willing to pay a premium for simpler brand experiences and interactions. Simplicity is defined as the ease of interactions and communications with a brand (e.g., researching, purchasing, interacting with customer service, etc.). US respondents will pay the highest premiums (4.1% or more) to retail/fashion, electronics, appliances, restaurants, and fitness brands. That list has grown from last year, when Americans would only pay that premium to 2 industries (restaurants and grocery). Americans also claim that they will pay 3.6-4% more for simplified experiences and interactions with brands across a range of industries, including automotive, travel/air, health insurance, travel/booking, retail/grocery, internet retail and general retail, according to the latest survey. Finally, Twitter emerged as teens’ most-important social network in the Piper Jaffray study virtually by default, as the perce! ntage of ! teens giving it that title actually decreased quarter-over-quarter. The real riser? Facebook-owned Instagram, named most important by 23% of teens (on par with Facebook itself), up from just 12% in the year-earlier period. So there’s that. A little over a year ago, venture capitalist Jim Goetz said he was floored that so few entrepreneurs focus on products for businesses, instead of consumers, given how successful enterprise startups have been. In 2013, VCs started seriously putting their money where Goetz’s mouth is. Of the 50 largest venture deals this year through September, 70% of them went to startups building tech for businesses, researcher CB Insights says. 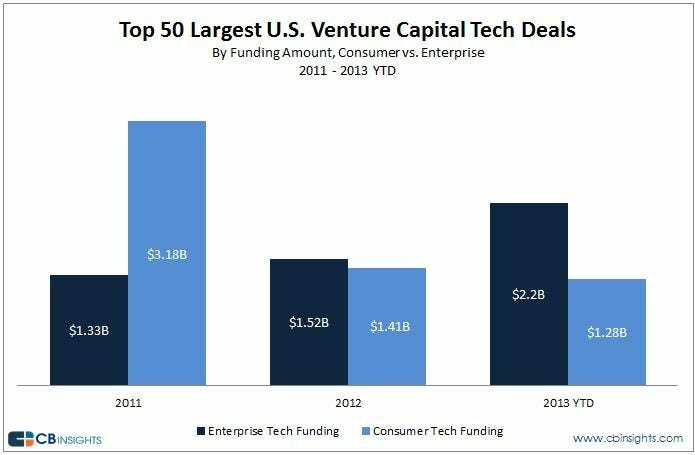 This chart shows how VC’s interest has swung toward enterprise over the past couple of years. In a new report — titled “Expect Coal: We Predict the Weakest Holiday Since 2008” — Morgan Stanley analysts Kimberly Greenberger, Scott Devitt, Ellen Zentner, and Jay Sole explain their forecast for a meager 1.6% increase in same-store sales at softline retailers in the fourth quarter. Four negative data points imply unfavorable consumer spending inclinations: 1) The National Retail Federation (NRF) forecasts ! the aver age Holiday shopper will spend $737.95 on gifts, décor, and greeting cards this year, 2% less than last year; 2) 51% of those people polled said economic concerns would affect their holiday spending plans and 79.5% said they plan to spend less overall during the Holiday; 3) On October 17th, Bloomberg’s monthly consumer expectations gauge indicated the percent of respondents saying the economy is going to get worse showed the biggest surge since October 2008; and 4) The NRF forecasts Halloween spending per person dropped 6% this year. 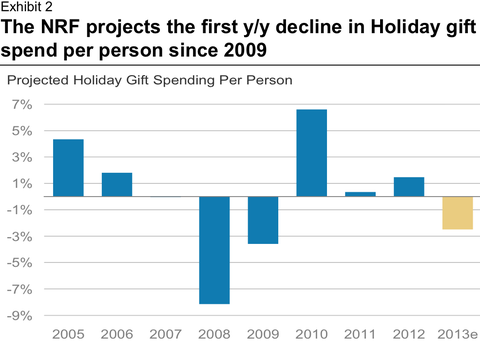 The only other time the NRF forecasted a Halloween spending decline was 2009. The report also points to a shift in spending toward “big-ticket items” like cars, home improvements, and appliances. 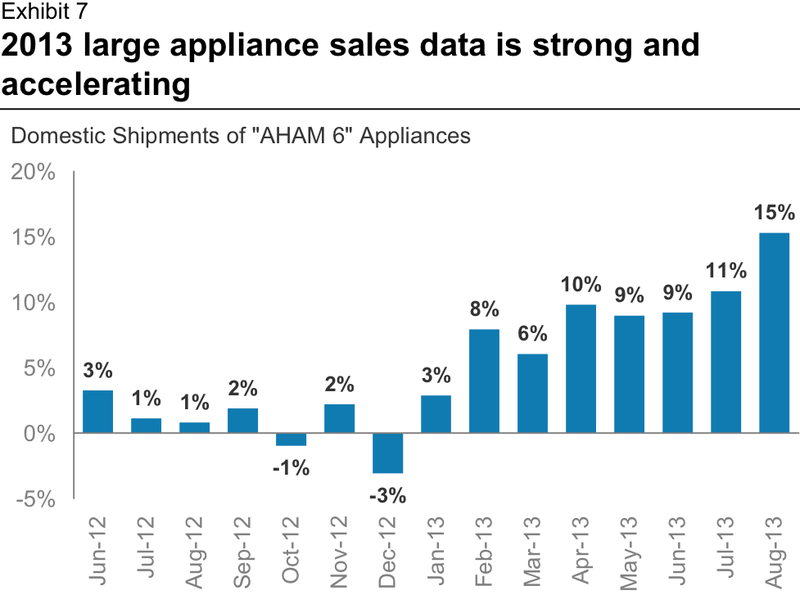 “Big ticket leading indicators such as the Association of Home Appliance Manufacturers ‘AHAM 6’ which measures domestic shipments of six major big-ticket appliances (washers & dryers, dishwashers, refrigerators, freezers, ovens, and ranges), continues to show staggering trends (Exhibit 7),” write the Morgan Stanley analysts. For the second consecutive quarter, Samsung has turned a higher total net income than Apple has. The Korean manufacturing giant just edged out Apple with $7.6 billion in net income to Apple’s $7.5 billion. Apple had long held the position as the most profitable company in the world. And even up until the first quarter of 2013, Apple’s net income level was nearly double that of Samsung. But Samsung has had a fantastic year in terms of product sales. Though Samsung might not develop products that carry the highest margins, its overall sales volume flowed through to healthy, consistent profit growth. Apple, meanwhile, has had a bit of a slow start to 2013 due to a lack of new mobile device launches. Facebook now has 254 million mobile-only monthly active users (MAUs), a 16% increase from the previous quarter, according to third quarter results announced October 30. 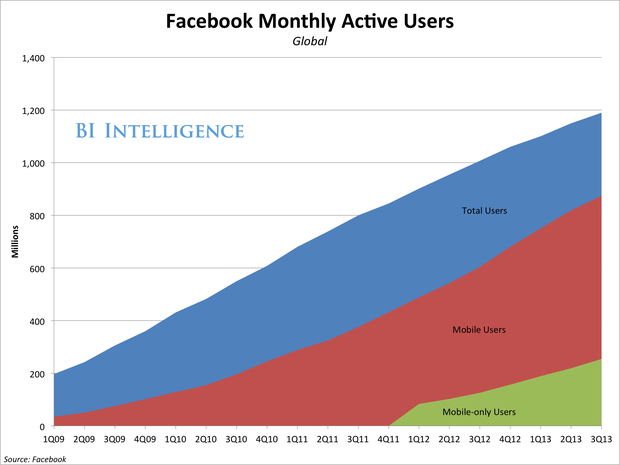 To put that in perspective, Facebook now has more mobile-only MAUs than Twitter has total MAUs. Facebook’s total mobile MAUs — the people who access the social network on a mobile device but may also log in via the desktop — reached 874 million, an increase of 7% over the previous quarter. Nearly three-quarters of Facebook’s total MAUs now access the site via a mobile device at least once a month, compared to 60% who did so one year ago. Mobile advertising revenue continues to grow at a feverish pace. Mobile, including mobile app install ads, now represents 49%, or $882 million, of Facebook’s total quarterly ad revenues. For comparison, Facebook brought in 41% of its total ad revenue (or $656 million) from mobile ads in the previous quarter. 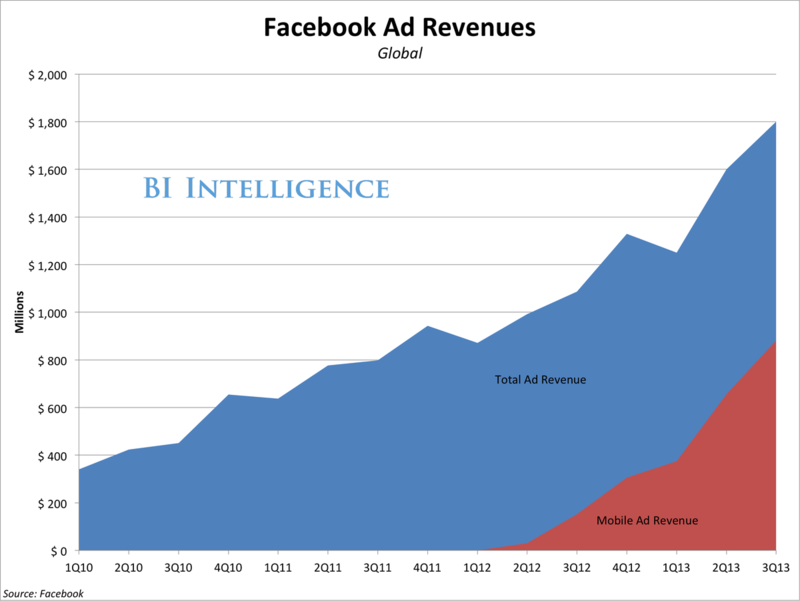 The fourth quarter will be a tipping point in Facebook’s business, when the majority of its ad revenue will be generated via mobile. Ads targeting users in emerging markets now represent 12% of total Facebook ad revenue and continue to be the company’s fastest-growing ad revenue source by geography. Download the charts and data in Excel. 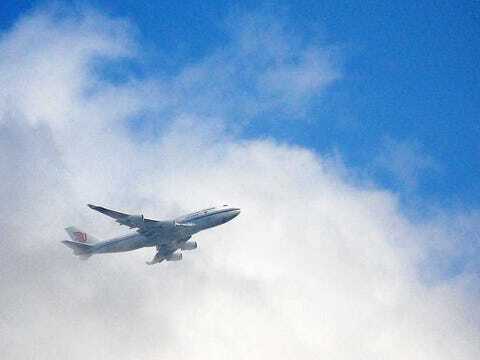 …The FAA has determined that airlines can safely expand passenger use of Portable Electronic Devices (PEDs) during all phases of flight, and is immediately providing the airlines with implementation guidance. IDC has posted third quarter market share estimates which show that Android tablet makers had an exceptional summer. Samsung jumped more than two points over its Q2 results, claiming 20.4 percent of shipments; ASUS also thrived during the period, moving up from just 4.5 points in the second quarter to 7.4 percent three months later. Both saw big year-over-year gains, although they didn’t grow as quickly as up-and-comers like Acer and Lenovo. It’s not hard to see why ASUS and Samsung made such large strides — both the Galaxy Tab 3 line and the new Nexus 7 launched in the summer. Things weren’t quite as rosy for other tablet designers. While Apple was still the top manufacturer, it slipped below 30 percent in market share. IDC hasn’t yet broken down shipments by OS, but it notes that the “others” category — including Amazon, Microsoft and other small players — shrank slightly to 35.3 points. The field is very likely to change in the fourth quarter between new iPads, the Kindle Fire HDX and Surface sequels. For now, though, it appears that the tablet market is shifting toward the giants of the Android world.